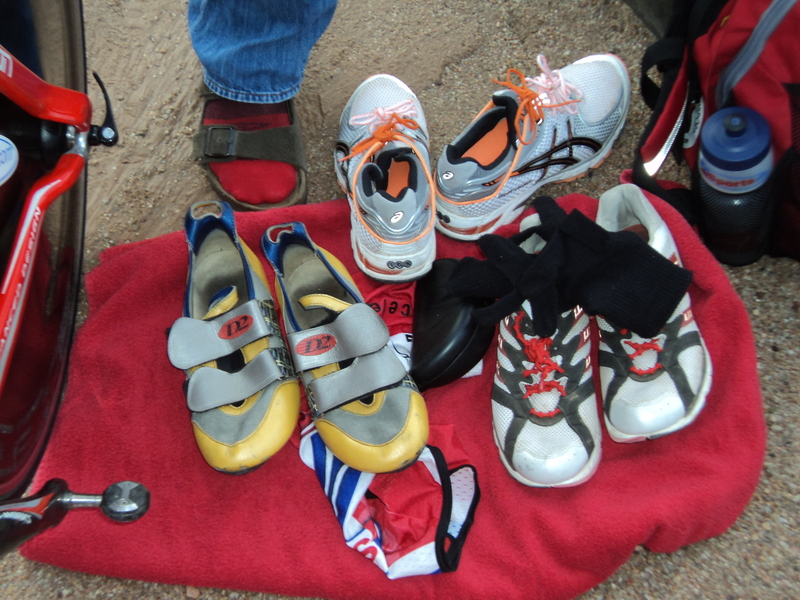 Another weekend of racing for Accelerate 3 athletes. I think we managed to fill the big shoes Kerry laid before us last week. 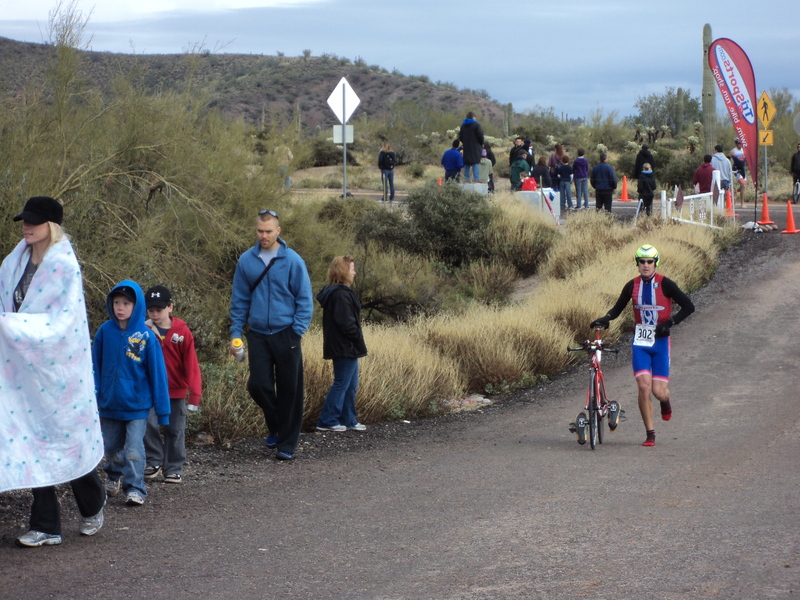 Cory completed his first ever 50k race this weekend as he continues his prep for IM St. George. He turned in a bang up race there last year and is on track to do the same again this year. 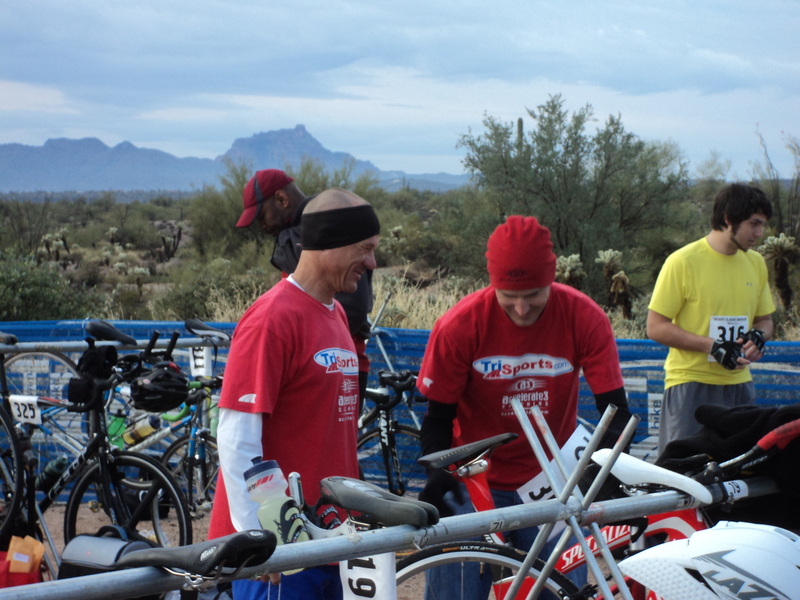 The Trisports.com Desert Classic Duathlon was this weekend. Last year was a cold, wet affair. This year it poured and was very windy the day before the race making the trails a sloppy mess. Race day, while looking like it would storm, stayed dry and calm until after the finish. Then the temps dropped out of the upper 40’s and the rain came. Sarah ran on a relay team taking 3rd place in the relay division. She has a back problem that has sidelined her for the last three weeks and it seems to be clearing up. That’s good news unless you are a female triathlete. Not a bad way to start to get back into some light training. Billy finished up second in the Mens 45-49 AG. He lead the second group through the first run and moved into second place for good on the bike. You can read his race report here. I won the 40-44AG in my first ever masters race! F*ck me, I’m old. When and how did that happen? Typically this AG in AZ is one of the fastest. 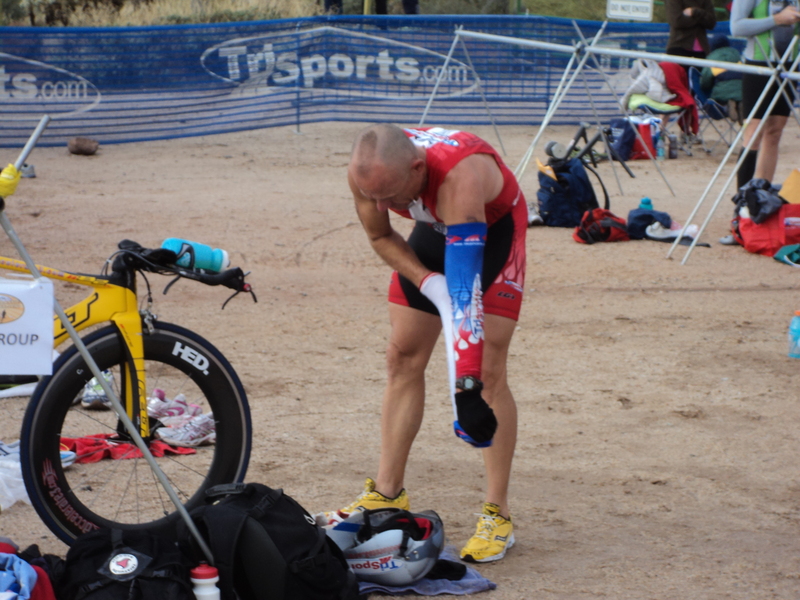 You have a bunch of former sub 8:45 IM pros and guys who have touched the 1:50 Olympic distance triathlon mark. If you’re not on, you’ll find yourself off the back quickly. Today though the pace started off kind and gentle to these old legs for the first half of the run. I managed to make the first group in the run as it dwindled from 6 to 5 to 4 to 3. About 10 minutes into the run, my friend Ted dropped the hammer and gapped 2nd and 3rd place. Unfortunately I was in second place. After a surge to drop 3rd place that didn’t work, I found myself falling into 3rd place. Note to self, when in doubt don’t surge. But hey, I guess you can teach and old dog new tricks. On the bike Ted threw a chain and I moved into second place in the wave while taking over the lead in the M40-44 AG. Entering the final run, I was down a bit. About 2k into it, I caught a glimpse of the guy leading the M40+ wave. He had about :45 on me. I managed to claw some time back through the 2.5mile mark. Not much and not enough. I was just over :30 down when we hit a half mile to go. Suddenly the gap started shrinking rapidly. My mind was saying “GO” and “Wait Not Yet You Idiot I’m Hurting” all at the same time. I tried to reel him in. Over the final 150 meters, he was coming back to me faster then the finish line was coming towards us. Closer and closer he came, I went from seeing logos to making out the writing on the logos of his singlet in that final 150m. Alas though I ran out of real estate ending up :12 down, making up a quarter of a minute over the final 200m or so of the race. What do I have to do to win my wave at this race? Seriously? This is the 5th time I’ve raced this race. This is the third time I’ve finished second in my wave. One other time I finished 3rd. At least I’m pretty safe bet to place or show. In the end I picked up a gift certificate from Trisports.com and some bonus money as well. Not bad for a cold, wet and sloppy day.